Author Miriam Herin graces the airwaves to talk about her two war-based novels Absolution and A Stone for Bread. Absolution tells the story of Maggie Delaney, an idealistic wife and mother whose world implodes when her husband is murdered in a seemingly random act. A Stone for Bread chronicles poet Henry Beam, accused of fabricating poems from a Nazi concentration camp, as he breaks his 34-year silence telling a grad student about his study year abroad in mid-1950s Paris. 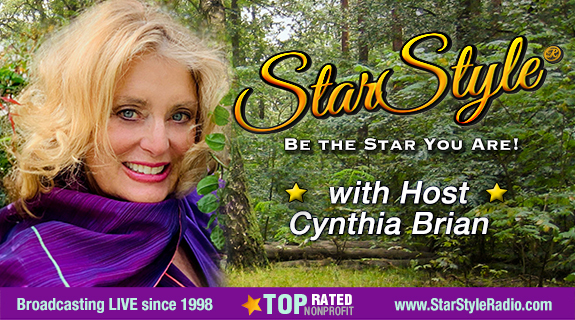 https://www.voiceamerica.com/show/2206/starstyle-be-the-star-you-are 24/04/2019 04:00 24/04/2019 05:00 Starstyle®-Be the Star You Are!® https://www.voiceamerica.com/show/2206/starstyle-be-the-star-you-are Author Miriam Herin graces the airwaves to talk about her two war-based novels Absolution and A Stone for Bread. Absolution tells the story of Maggie Delaney, an idealistic wife and mother whose world implodes when her husband is murdered in a seemingly random act. A Stone for Bread chronicles poet Henry Beam, accused of fabricating poems from a Nazi concentration camp, as he breaks his 34-year silence telling a grad student about his study year abroad in mid-1950s Paris.